A creamy brow powder in one end with an angled brush on the other. Define, shape and fill in your brows effortlessly with this 3-in-1 tool for maximum impact, minimum input. Finish with our award-winning Eyeko Brow Gel to hold your look. Isododecane, Talc, Polyethylene, Cyclopentasiloxane, Trimethylsiloxysilicate, Copernicia Cerifera(Carnauba) Wax,Phenyl Trimethicone, Hydrogenated Polyisobutene, Aminopropyl Dimethicone, Disteardimonium Hectorite, Lecithin, Triethoxycaprylylsilane, Tocopheryl Acetate, Caprylyl Glycol, Phenoxyethanol, Propylene Carbonate,Hexylene Glycol, Titanium Dioxide, Iron Oxides ( CI 77499), (CI 77492), (CI 77491). Created in London. Made in South Korea.. The best eyebrow fill in!!!!!!! The best!! Looks so natural on. Application is easy and goes on perfectly. I love the set up of the brush separate but connected to the powder. It’s so convenient. I’m in love with how it made my eyebrows look. Thank you! So glad to have stumbled upon this!! It’s a must have and the only one you need to have!!! Nice. Product is creamy. Brush works good with product thought I did need to go in with a smaller angeled brush for finer brow hair detailing. This is in between a powder and pomade as far as the look it gives the brows. I definitely enjoy using it. I can fill in my brows fast and that's important being a single mom of 3 boys ages 3 to 9. Brows stay until I washed off. I do recommend and will buy again. I thought I would try the brow game strong eye brow defined and brush since the eyeko lash alert was by far the best mascara I’ve ever used. Well it was very disappointing the product was crumbled, the brush did not keep its shape (frayed very easy). I will definitely not be buying this product again. 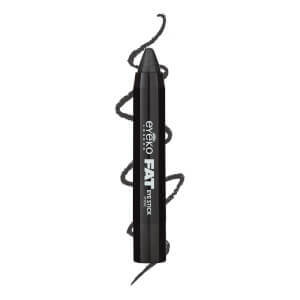 So easy to apply and gives your eyebrows a strong finish. Love this product! I was skeptical about this product after years and years of using the same eyebrow product from a high-end retailer. However, when I came across this I fell in love. The packaging means its perfect for travelling as it takes up no room in your bag, the colour is a PERFECT match for my eyebrows and the brush makes it so easy to apply and gives a natural finish. For the same (if not better) quality and half the price of my old favourite eyebrow product I will deffo be buying this again! I was sceptical about this. I was unsure that the colour would not be dark enough. It is! I have no tail to my brow but this is so easy to apply. I never want to be without it. It is easy to apply and gives you as great finished at the end. Great and precise application, makes my brows look great. Love the packaging for this, and the product itself is so light and easy to carry around! This is an amazing eyebrow brand and it's now my go-to product for my brows. Fills my eyebrows in very well, a must have!